As modern practitioners in the debt portfolio management space, we tend to forget about the long history of our field. Just recently, I received a thorough account of a friend’s academic research on the collapse of an 18th century bank – an event that, quite aside from its importance in the history of the global banking system, was also striking as an early example of debt portfolio rehabilitation. Using the technology and best practices of the time – thick ledgers and polite, handwritten letters – winding up that portfolio took over 50 years, making the final recovery rate of 100% largely meaningless. The evolutionary process that took us from the ad hoc, manual processes of those heroic times to today’s largely automated, technology-supported best practices is now mostly forgotten, and rightly so. The hard-gained wisdom of all these years is now encoded in normative frameworks, incorporating the flexibility, adaptability and system support necessary to track the ongoing evolution of our operations – essentially providing tools to automate our day-to-day actions and decision making. However, debt portfolio management is increasingly not about day-to-day operations. The drive to respond faster while minimising long-term risk – in the face of an increasingly liquid debt marketplace, quickly changing macroeconomic landscape and an ever-more-complex regulatory framework – has led to the need for a wide range of decision-aiding analytics. Every new portfolio, every new operational challenge, every new process or regulatory requirement drives demand for ever more diverse analytics deliverables – be they reports, predictive models, or prescriptive policy proposals. Every day, our data are consumed by highly skilled professionals who use arcane tools to perform their magic and reveal the truths that are hidden within. The scientific capabilities afforded us by these unsung heroes are certainly impressive. How about the processes involved, though? Do we feel we have achieved the same level of operational excellence in our analytics as in our actual operations? This increasingly important analytics side of our business is ripe for formalisation and industrialisation. The ad hoc demands we make of our analysts exhibit a balance between variability and repeatability that can now be recorded in an “analytics blueprint”. 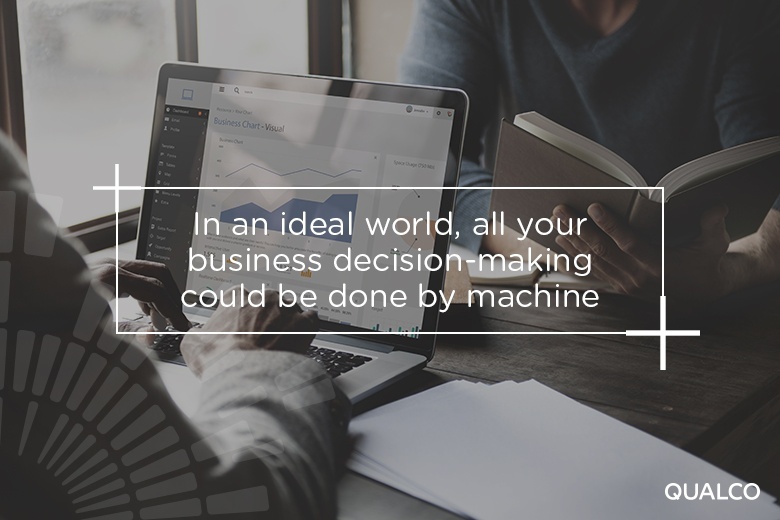 Processes and systems can be built around this blueprint, turning everyday one-off analyses into an automated, ongoing production line and inextricably embedding them into our operations. Quite aside from the usual advantages inherent in automating a process – faster response, more throughput, economies of scale, more consistent quality, transparency and better monitoring – achieving the industrialisation of analytics has the potential to deliver a further qualitative change: by extricating our analysts from day-to-day data management and manual processing tasks we can refocus their considerable abilities on ensuring that analytics add value to our business. Analytics are not an end in themselves; they only add value when they can make us wiser. In the best case, they do so by explaining the world: by “storytelling” – revealing and quantifying the causal processes that drive our portfolios’ behaviour. An end-to-end analytics framework enables analysts to tell true stories by providing them with the necessary facts and models, and lets the business incorporate the teachings of these stories in its operations.